Today is the first day of December, and I couldn’t be happier about it. This next month is going to be a very busy time for me (and for many of you, I assume), and I wanted to do a little something special to ring in the holiday season here on my blog. So, I decided to host my first giveaway! As you may have ascertained through past posts, I absolutely love all things vintage Christmas. 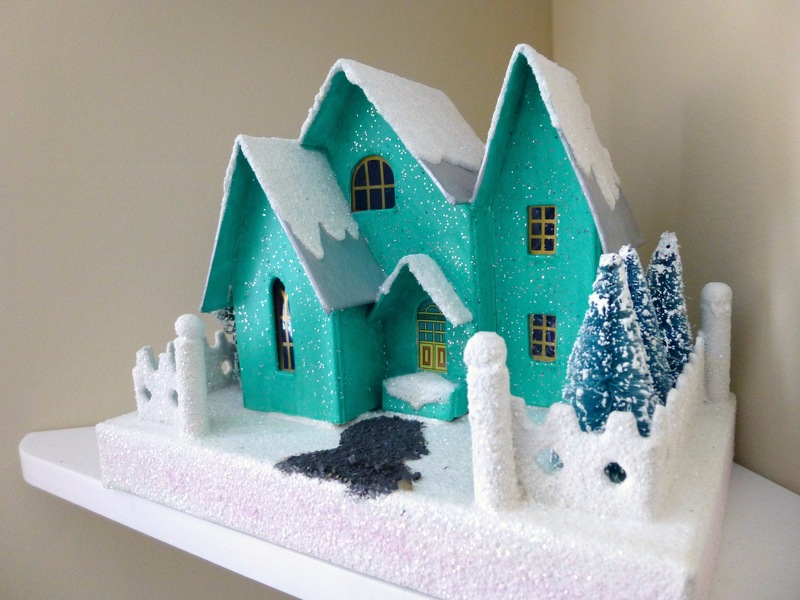 My grandparents used to have a collection of glittery cardboard putz houses that they would arrange into a little village underneath the tree every year, so when I saw Radko’s sparkle house reproductions, I knew I had to have one! You are in luck, because I bought an extra one, brand new in its box, and I want to give it away to one of my blog readers to spread the holiday cheer. 1. Follow my blog and/or Instagram (if that’s how you found me). 2. Leave a comment on this post telling me what your favorite holiday tradition is. 3. Make sure to leave your email address so I can contact you if you’re the winner! 4. Due to the extremely high cost of international shipping, I’m limiting the giveaway to readers in the US. That’s all it takes. Good luck! UPDATE: The giveaway is now closed and a winner has been chosen! Emily (Comment #7), I will be contacting you via email! Congratulations, and thanks so much to everyone who entered and shared their favorite tradition! I loved reading all your responses and I hope you’ll come back again to check out my blog. This entry was posted in Uncategorized and tagged 1950s, Christmas, Christmas and holiday season, Christmas giveaway, December, decorations, freebie, giveaway, holiday, holiday giveaway, holidays, home decor, midcentury, putz house, Radko, retro, sparkle, vintage Christmas, winter. Bookmark the permalink. So excited that I ran across your blog! 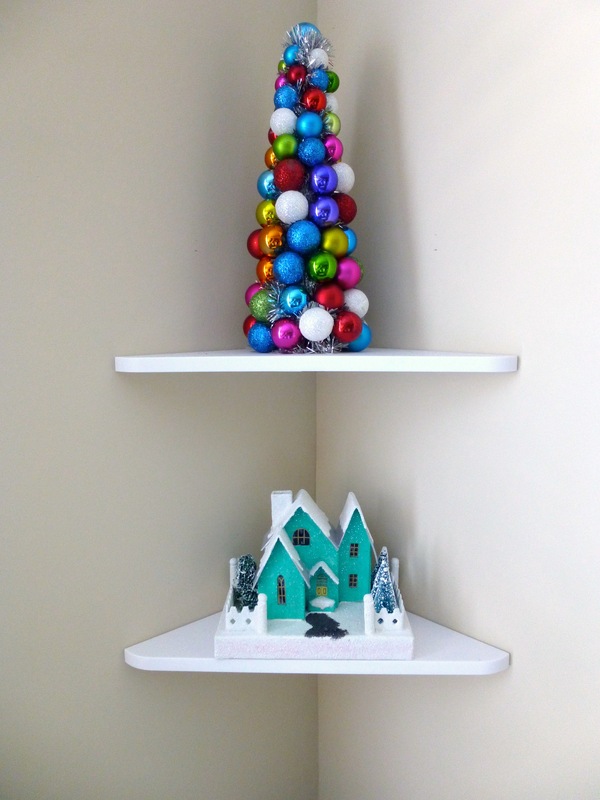 My favorite tradition is putting together shiny brite trees! I have pink and blue trees covered in them! I’m LayDeeLuckJEN on Instagram! Thank you for the consideration!! My favorite holiday tradition is putting out my grandmother’s ceramic lighted Christmas trees…she passed a long while ago but Ilike to think I am keeping her close this way! Guess what I enjoy is opening up all the boxes and seeing the Christmas décor, especially the vintage things I’ve found! Making ornaments with my boys! We use a different medium every year! The ones they make are my favorite!! Every year on December 5th we set out shoes (usually wooden) and St. Nick comes to visit our house. He fills shoes with small toys and candy! We leave out veggies for his horse and cookies for him. My parents did it for my siblings and I every year when we were young and it’s a tradition that stuck and we now celebrate it with our son. Oh this is so fun!! What a sweet giveaway! Ever since I can remember my Mom and Dad bought us Christmas pj’s every year for Christmas. We always got to open one present on Christmas Eve night and it was always are Pj’s. We loved it, cause it made the waiting until Christmas morning easier and we got to wake up in new pj’s. Are family has grown over the years but the tradition carries on….. now the little ones get new Christmas pj’s too on Christmas Eve. It isn’t about the gifts for us (of course we love them), it’s about being together and remembering the birth of the savior and the miracle of his birth that starry Christmas night.